This thick and hearty autumn soup is packed with spicy flavor and healthy spices. Get it going, then call a friend or spend some time with the kids while it simmers. 1. In 6-quart Dutch oven, melt butter over medium heat. Add the sweet potatoes, celery, and onion and cook, stirring occasionally, until onion is tender, about 10 minutes. Add garlic, curry powder, ginger, cumin, coriander, salt, and ground red pepper; cook, stirring, 1 minute. 2. To vegetables in Dutch oven, add broth, lentils, and water; heat to boiling over high heat. 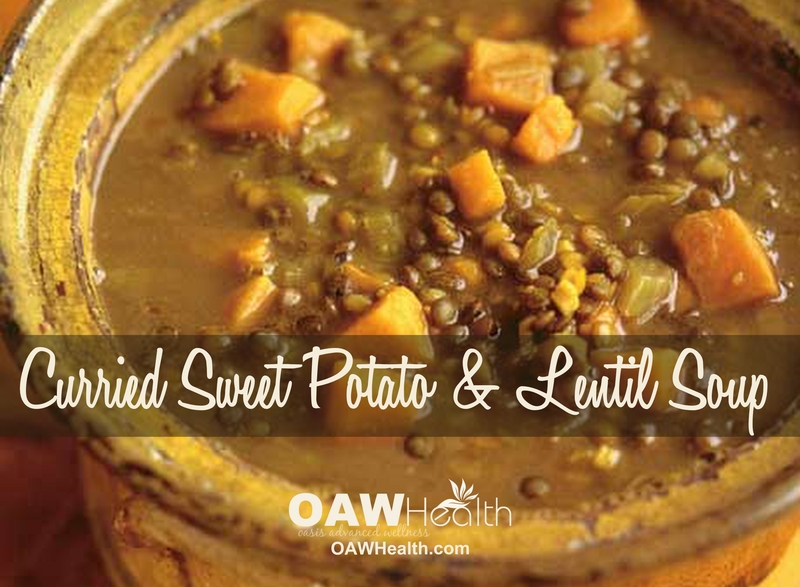 Reduce heat to low; cover and simmer, stirring occasionally, until lentils are tender, 40 to 50 minutes. Serve with yogurt, toasted coconut, and lime wedges, if you like.